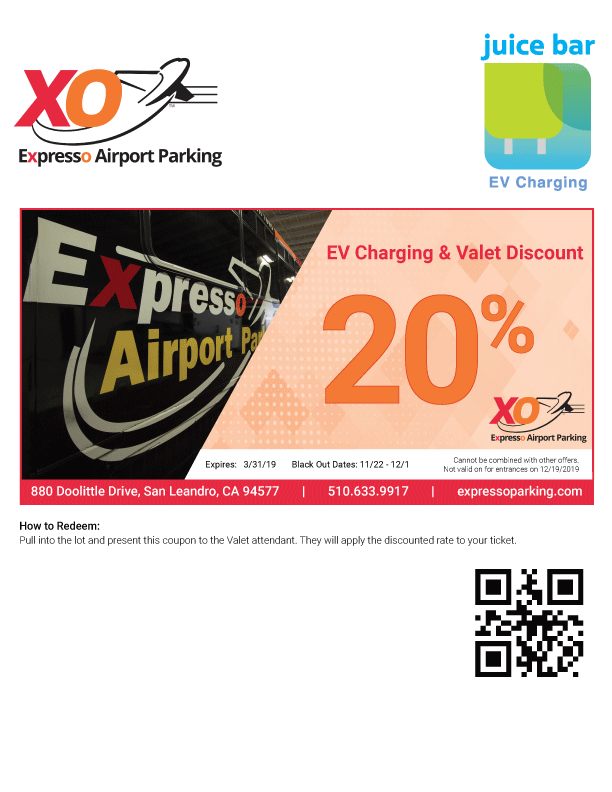 We are the only Oakland Airport parking facility to offer free electric vehicle charging stations. 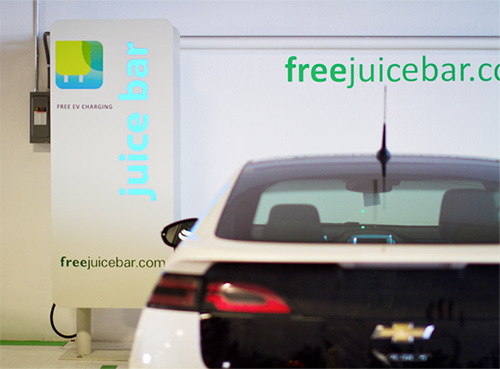 Get Free EV Charging at the Juice Bar when you use our OAK Premium Valet Parking Service. Electric vehicles are more popular than ever and at Expresso, we want you to be able to return to a car that’s charged and ready to go. Our Oakland Airport parking company offers a Juice Bar that can have your vehicle juiced up while you’re away. Stop by to experience the green energy and a clean way to park. In addition to our green Juice Bar, Expresso works to lower our carbon footprint by using clean, natural gas in our Oakland Airport shuttles. 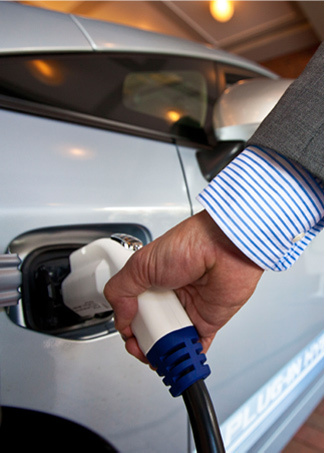 Electric charging and lower fuel emissions are just part of our commitment to helping to preserve the environment. Expresso Airport Parking is proud to be a Green Parking Council Demonstrator site.